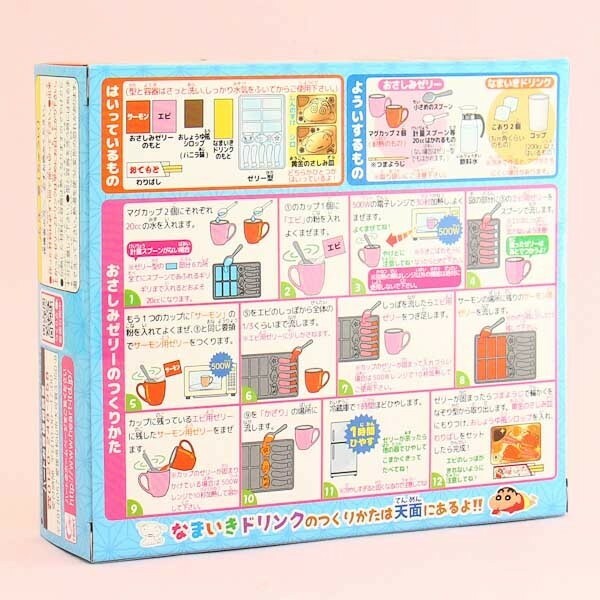 The ever so funny Japanese anime kid, Shin-chan, is back with this Shin-chan PuriPuri Manju DIY candy kit by Heart. 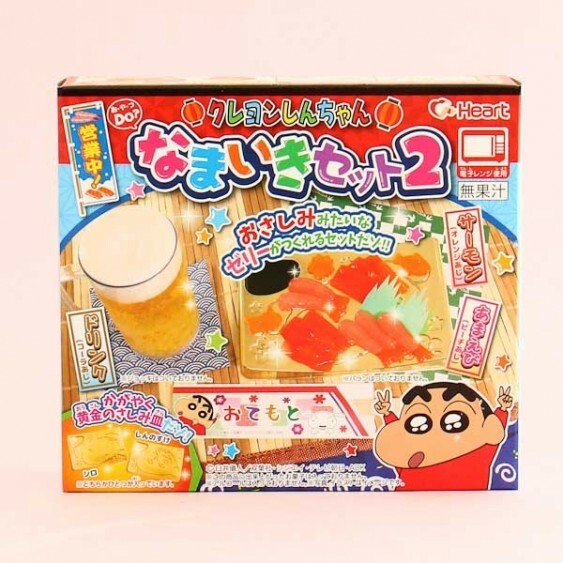 With this kit, you can make your own yummy candy sushi and beer, the perfect Japanese after-work treat, by only adding water! The kit comes with all the essentials needed, including chopsticks and two shiny trays that are shaped like Shin-chan and his pet dog, Shiro. The sushi mold has three special shapes so you can also have a few garnishes with your sushi snacks. The bubbly candy beer is cola soda flavored, the tuna and squid sashimis are orange and grape flavored, and the soy sauce is vanilla flavor, so this set is great fun for both children and adults!